Honeysuckle, summertime heat and southern sweet have always gone hand in hand, but when you start combining them in a glass with ice, well now that’s just crazy talk! 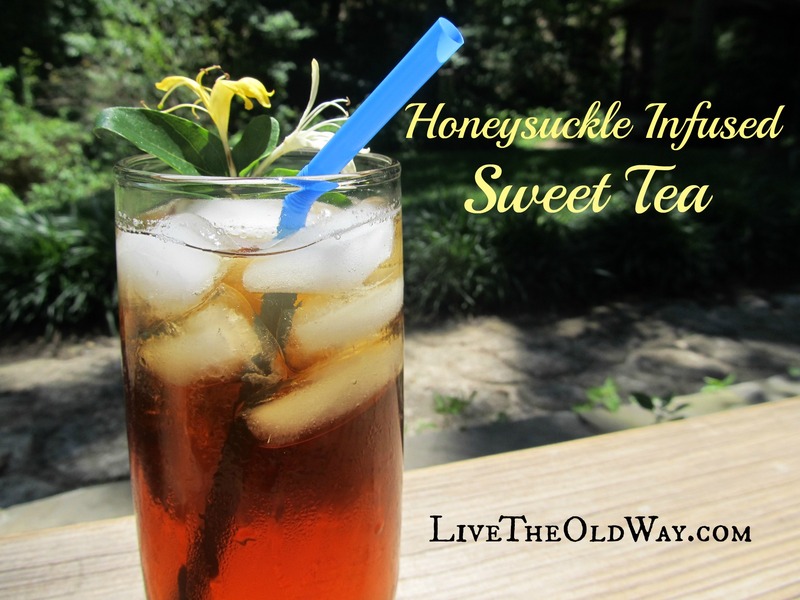 The subtle honeysuckle flavor is just what sweet tea needs to dress it up for a special event. 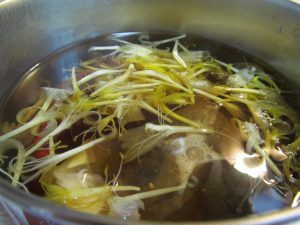 To infuse your tea with honeysuckle, simply add the honeysuckle flowers directly to the boiling water along with your tea bag. My husband is from up north and doesn’t drink sweet tea, so I make mine one quart at a time since I’m the only one drinking it. My recipe follows below, but you can tweak the proportions to suit your taste. The only difference in this and my regular tea is adding the honeysuckle. Pretty easy! Place your tea bag and flowers in a heat proof pitcher. Bring 2 cups of water to a boil and poor over the flowers and tea bag. Let simmer 8-10 minutes. 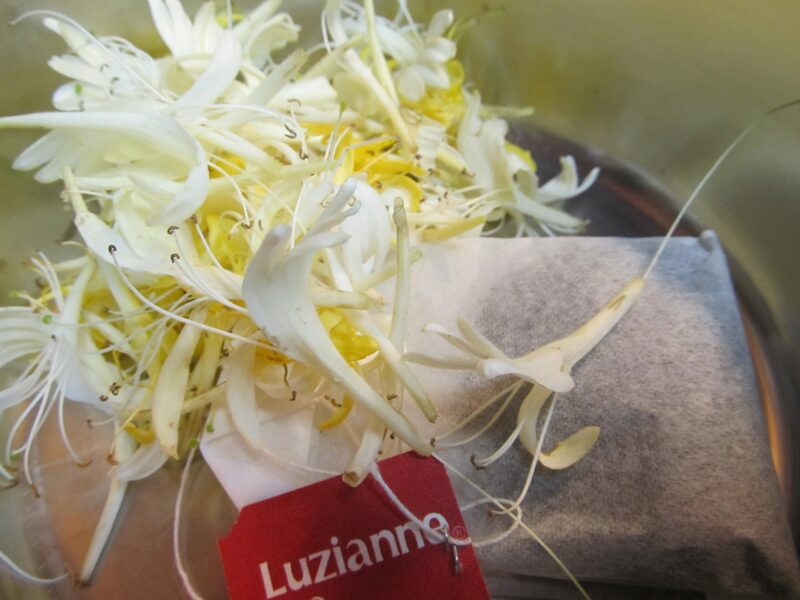 Remove the tea bag but do not strain out the flowers yet. Add sugar and stir until dissolved. Let this sit until it cools off, giving the flowers time to fully infuse in the liquid. Once it’s cooled, strain out the flowers and add 2 cups of cold water to dilute to strength. You can add more or less honeysuckle according to your taste, but if you decide you want a stronger honeysuckle taste after you’ve prepared the tea, it’s completely ok to put the liquid, minus the tea bag and original flowers, back into a pot and bring it almost to a boil. Add more flowers and let it cool. Another option is to make this like sun tea and bring out even more flavor from the honeysuckle. I could really use a tall glass of this right now! Sounds heavenly! 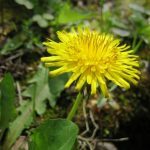 Brings back memories of breaking off the blossoms and sucking that nectar when we were younger! Will definitely try, and I make my green tea by the glass so I will tweak it even more! Can’t wait to try! 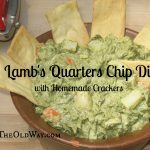 I made some of this and it wonderful….